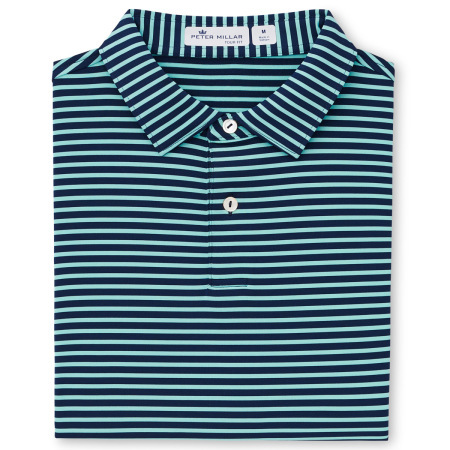 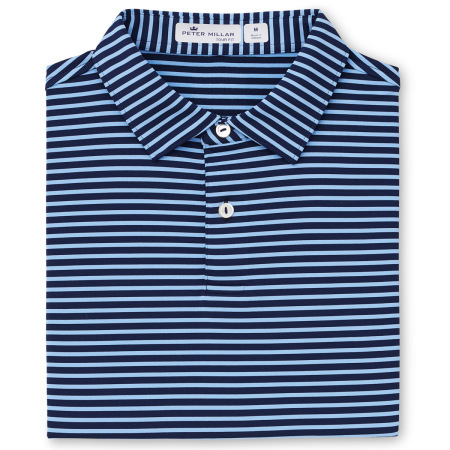 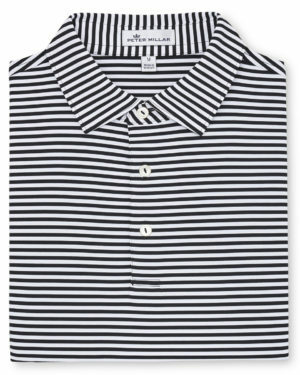 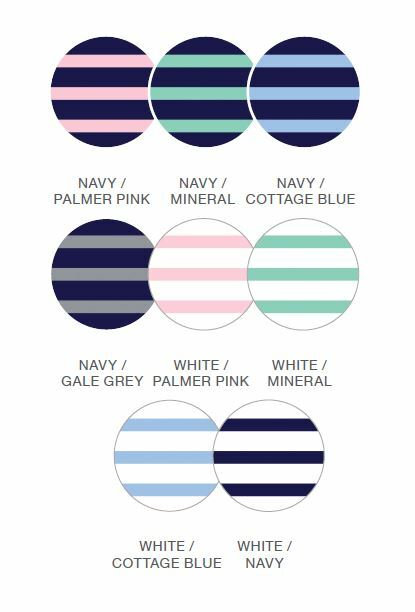 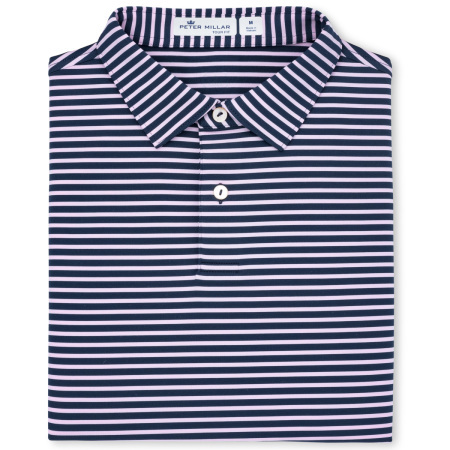 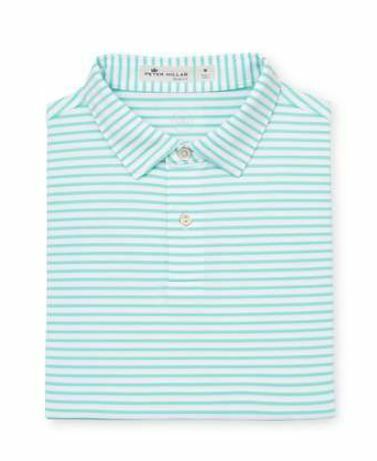 Peter Millar signature stretch jersey fabric. 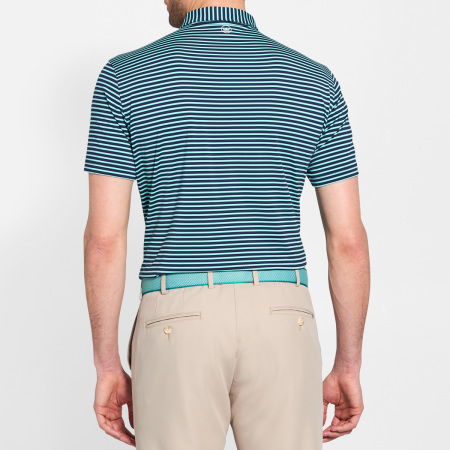 Designed with a more tapered fit through the torso and features a trimmer sleeve opening. 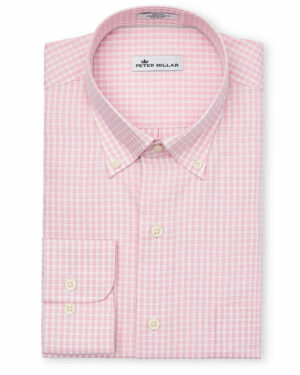 Finished with a slightly lowered self-fabric collar and two-button placket.